Have you ever thought why are Android versions always named after sweet names ?? Everytime a new Android version is launched its name is kept after a sweet name. Many people have researched about this topic and many have asked Google also. Have you ever tried to find out the core reason behind this? If not then you would find the answer here . “It’s kind of like an internal team thing, and we prefer to be a little bit — how should I say — a bit inscrutable in the matter, I’ll say,” said Randall Sarafa, a Google spokesman. “The obvious thing is that, yeah, the Android platform releases, they go by dessert names and by alphabetical order for the most part." " Android is the operating system that powers over 1 billion smartphones and tablets. Since these devices make our lives so sweet, each Android version is named after a dessert "
Still there were many researches going on and a lot of people had different opinions . Some believed that as Android was developed Andy Rubin an ex- employee in Apple where his colleagues gave him the name of Android because of his love for robots. He also loved sweets more than anything in the world. 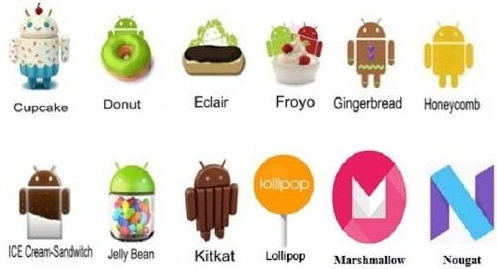 So all the Android version names are kept after sweet or dessert names in the memory of its founder. One more reason for the naming is that Google wanted to attract users by giving out some catchy names. And they thought Sweet names would be perfect. Google also didn't wanted to indulge in cases regarding patents and stuff like that so it kept sweet names as it believed most of the people don't think about these names and it will be unique too. Google has always named the versions in an alphabetical order which also gives it an uniqueness. Although Google has still not mentioned the true reason but many are busy finding it, we will soon be able to know the true reason. Till that time enjoy reading our articles at High School Pedia . If you find a good reason behind this naming please do a leave a comment in the comments section below. Have a fun time reading this and researching more. If you like this article press the like button below and also subscribe to our daily newsletter.